This woman eats 130 chocolate bars a week! 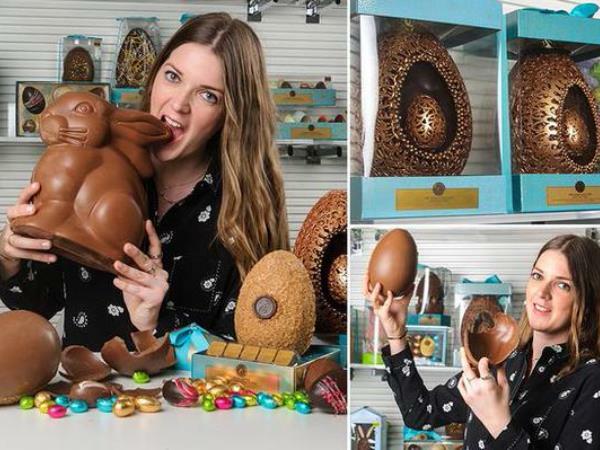 Alex Emerson-White (27), of the United Kingdom, eats the equivalent of 130 chocolate bars a week as the Easter egg taster for English company Marks & Spencer. She travels all over the world in search of the perfect ingredients for the company’s sweets. Among the eggs she’s tasted this year are a 1,5kg Giant Golden Lattice Egg, and the children’s favourite egg, Percy the Pig. I'm a 49 year old woman looking to meet men between the ages of 50 and 59.